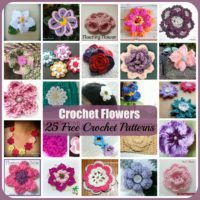 Today we kick off the Granny-Spiration Challenge by EyeLoveKnots, and what better way to begin than with a roundup of free granny stitch crochet patterns! 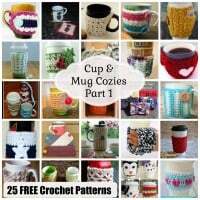 This roundup consists of 25 patterns including a few squares, hats, jewelry items and other accessories for you to enjoy. 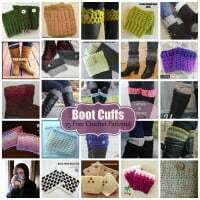 Not only do you get to enjoy a bunch of free patterns, but Alexandra of EyeLoveKnots is also giving away a $10 gift card for Etsy. 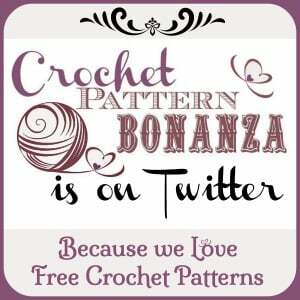 So why not head over to her post to view her pattern and enter the giveaway. She also has the rules listed, so be sure to check them out as well. 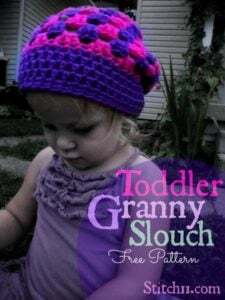 See her post here: Iced Granny Square Slouch. 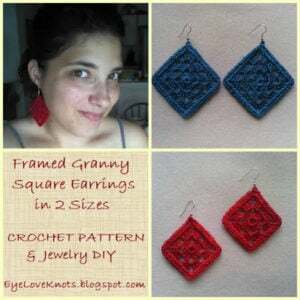 These earrings are crocheted using a size 10 crochet thread, thus keeping it small and lightweight for the ears. Here is another jewelry pattern. I love how she contrasted each square. 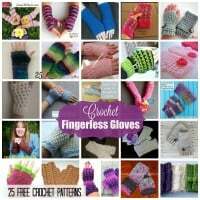 And it’s a lovely stashbuster pattern too! 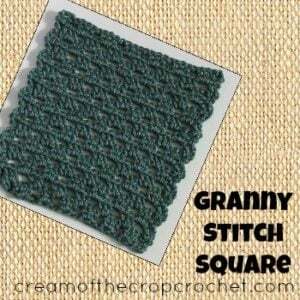 This square is done in the granny and a spike stitch. I love the unique design along with the gorgeous color combo. The finished size is 9 inches. 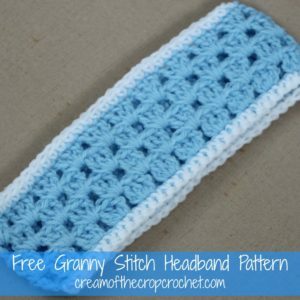 As you can see, the granny stitch isn’t just for squares. Here it is shown in a pretty hat for newborns. 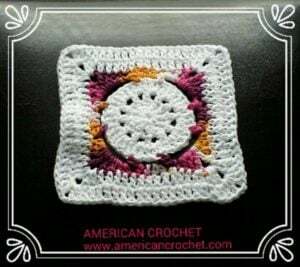 Here is the basic granny square done up in a scrubby yarn for a dishcloth. 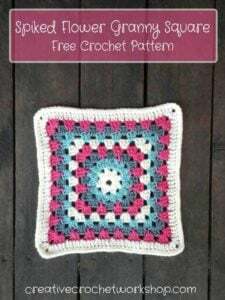 The pattern also provides instructions for a 9″ afghan square. 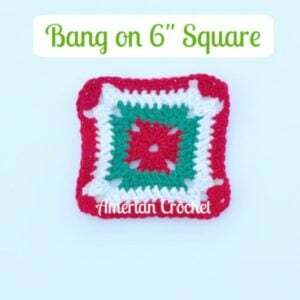 This gorgeous granny square measures 6 inches. It’s shown in a lovely fall color combination, but choose any colors you have in your stash to match your home or favorite holiday. This granny afghan square has a nice twist to it. I love how it starts off in a circle and ends in a square. 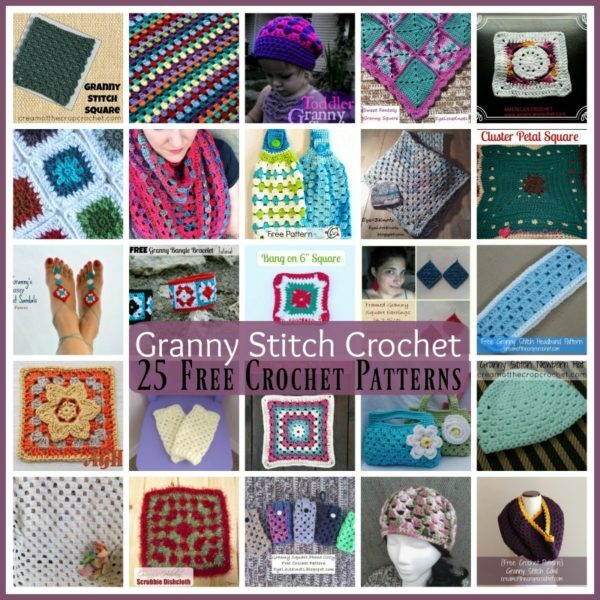 This pattern lists several yarns and hook sizes that you can use to whip this up. It’s quick and easy and makes for a practical gift. Crochet this headband to hold your hair in place or to keep your ears nice and cozy. I love the simplicity and cuteness in these! So perfect for the summer beaches, the pool or even inside the home. Here is something for the little ones. They are great for both boys and girls and are designed to fit a 6-12 month old baby. 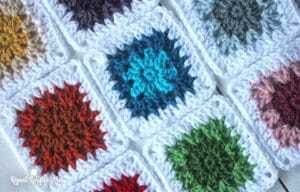 The pattern instructions are given for a baby blanket, but the great news is that with granny squares you can crochet it to any size you want. And these squares are nice and solid to keep you super warm. Isn’t it lovely in a V-Stitch? 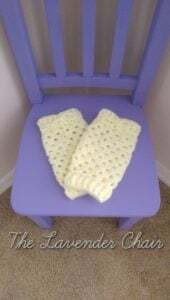 It has a nice lacy texture that’s sure to look great in any blanket you choose. Here is a beauty to add to your winter accessories. It’s shown as a cowl, but it’s versatile and can also be worn as a cozy shoulder wrap. 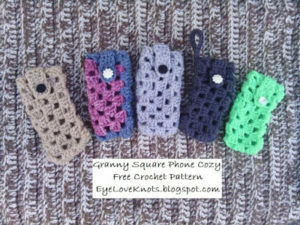 This granny square is different from most as it’s crocheted in rows. It’s very easy and it results in a pretty texture as well. This pretty square measures 14 inches across. It’s a nice solid stitch to keep you nice and warm while relaxing on the couch. 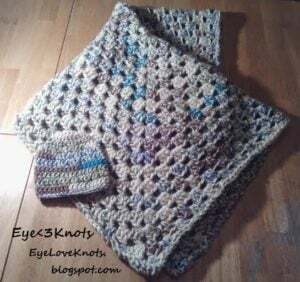 This baby blanket is crocheted a bit different than the traditional granny pattern. However, it looks very similar and has a nice open lace, making this perfect for the summer. 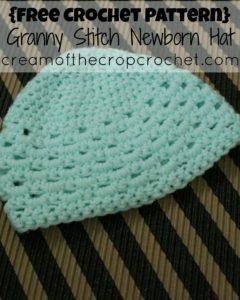 Here the granny stitch is used to create a lovely beanie. 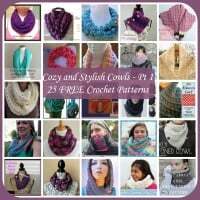 This pattern also has a link to a matching scarf pattern. 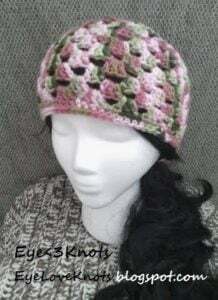 Here is another granny hat, but this one has a nice slouch to it. And the two colors gives it a nice striped look but around and from top to bottom… It’s so pretty. 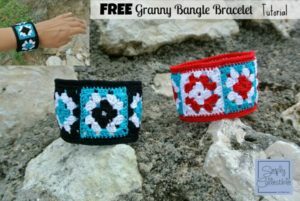 Oh I love this pattern in both colors as shown. 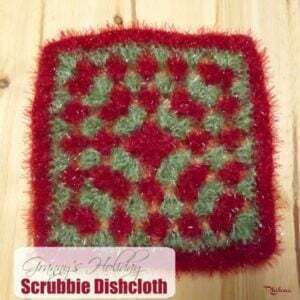 Plus, these towels are so handy to have in the kitchen, making it the perfect item for gifting. Who knew the granny stitch could look so pretty in a bag? And the pattern provides instructions on how to do the different handles as well. 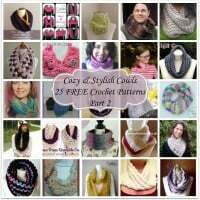 This cowl looks perfect for the cold winter, the fall or in the spring time. 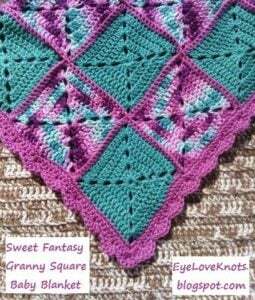 I love the pretty colors chosen for this square. 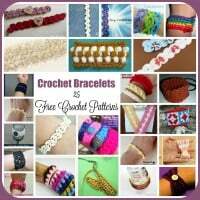 I also love the solid stitch with the open-laced corners. 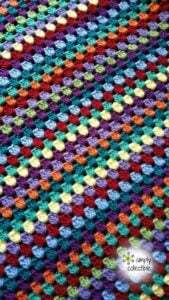 It’ll make for a lovely afghan on it’s own, or mix it with other 6″ squares for a unique afghan. The granny lace makes this baby blanket so perfect for the summer or for transitional weather. 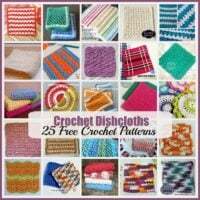 If you love stripes, then you will love this afghan. 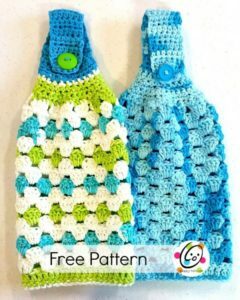 The pattern lists all the colors, so you can make it identical as shown. 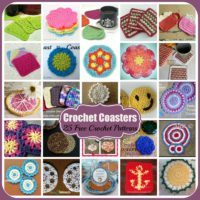 Or, use up your own stash for your own colorful design!